Slips and falls can happen almost anywhere. But these types of accidents are fairly common within office buildings and retail spaces. It is the responsibility and legal obligation of the business owners to make sure that the space is safe to be used by the public and its employees. If not, then having the right warning signs in place is crucial. 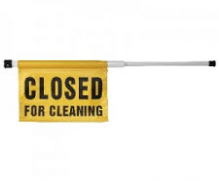 We at Alpha Cleaning Supplies provide janitorial supplies and safety gear Perth to those in need. Check out our selections below. 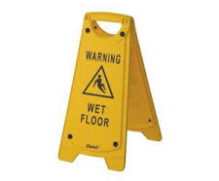 Our wet floor signs are important for businesses to have especially when there are wet floors being worked on nearby. We have large and medium models available and are coloured yellow for the highest visibility to people. What makes out signs great is that they are lightweight and very easy to transport around. 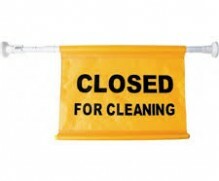 We provide our customers with the perfect signs to warn people to keep out of rooms that are still being cleaned. 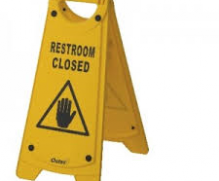 Similar to our wet floor signs, the door caution signs that we have are also coloured yellow to give the highest visibility to people who encounter them. They are also easy to adjust for different door sizes. 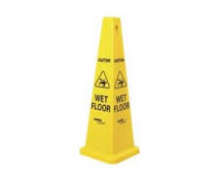 We have foldable caution signs that can be bought in various colours and sizes to fit your needs. They are perfect to be used in small areas that are currently being maintained. Their high yellow colour visibility and portability makes them great signs of having in your business. 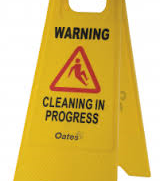 For the best safety gear Perth and janitorial supplies, come check us out at Alpha Cleaning Supplies today!